Group Storytelling Facilitation, Ross Tarr provides services and workshops for memory care facilities and their staff. 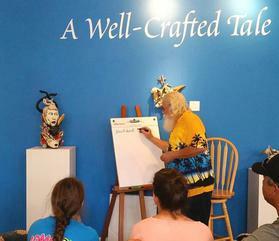 leading a session at the Florida CraftArt Galley, St. Petersburg, Florida, June 26, 2016. Group storytelling experiences are a great way to generate feelings of community, and help participants make new friends as they create an original tale.inspired by art. Premier Storytelling event that brought nine professional and emerging storytellers to the stage in downtown St. Petersburg, Fl. 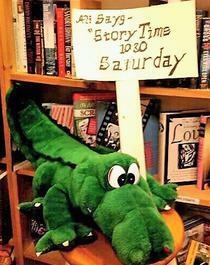 for a fist time story festival. Westminster Retirement Community, St. Petersburg, FL. Telling tales of St. Patrick, and Irish myths at a St.Pete mall.